At Angelus Temple, we believe in both the importance of generosity and God’s promises that are directly connected to it. We teach and practice the Biblical command of giving tithes, (consistently giving 10% of your gross income), and offerings (additional giving for specific needs that arise). The Bible says that God blesses those who trust Him in their finances and obey Him in their giving (Luke 6:38, Malachi 3:10). We want to be a blessing to the communities around us – people used by God to transform lives. All of our donations go directly to supporting Christian outreach programs, church operations and God’s work in the community through the Dream Center. By giving to these programs, you are giving someone a second chance at life. 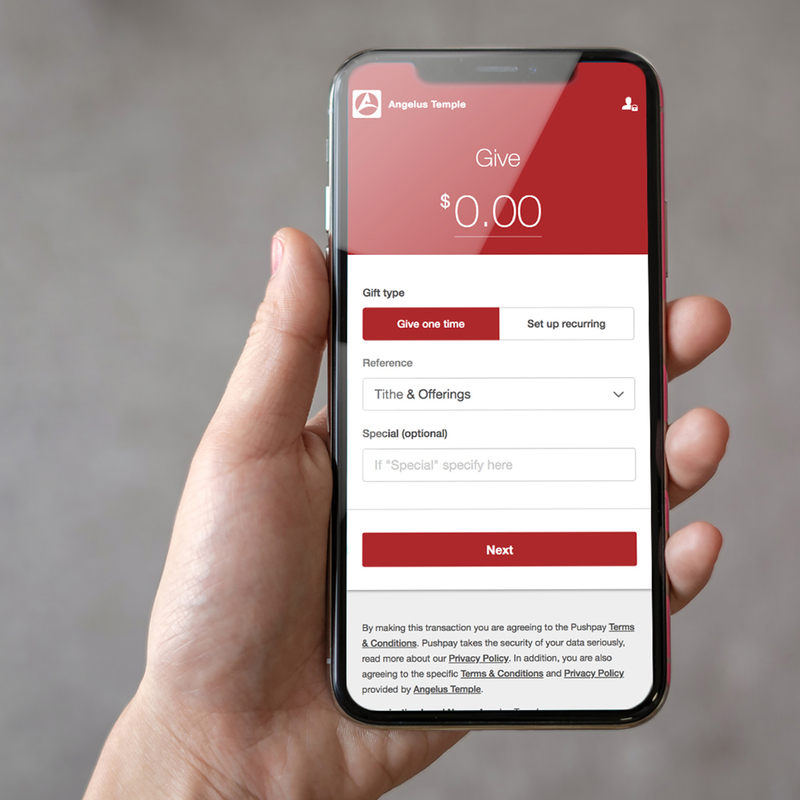 To give now, access PushPay’s online site by clicking below or download the PushPay app. Click here for more information on PushPay’s security protocols.